Galway tennis players were on the winners' podium at the West of Ireland Open in Sligo. Mark Smyth played some super tennis to win both the A singles and A men's doubles with partner Francis Venzon, while Deirdre King won the women's B singles, defeating three-times champion Oonagh Colton. 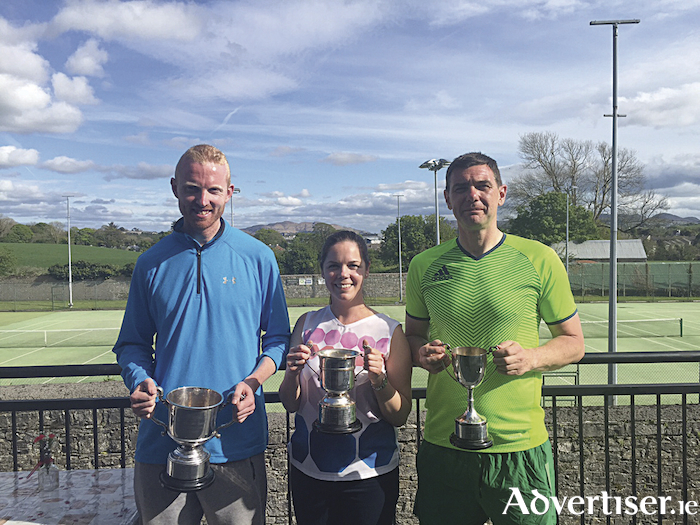 Galway Lawn Tennis Club's Martin Maloney also had secured the double, winning both the C singles and C mixed doubles, partnering Galway's Jennifer Bradley. Grainne Coll was runner up with Stephen Cunningham in the B mixed doubles section.